Blue side: proven to calm users with autism or ADHD. 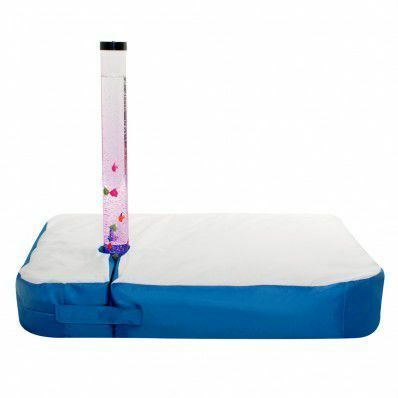 Oversized slab style bean bag designed to fit around existing bubble tube or fibre optic installation. 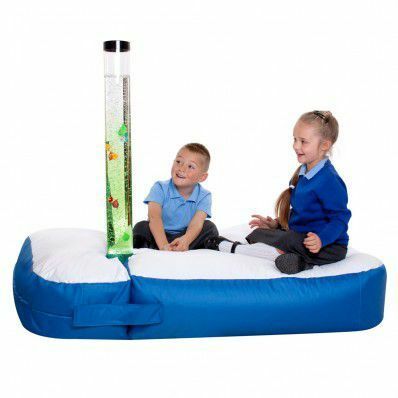 Adjustable opening and strap to fit around sensory equipment which the bean bag will adapt to suit. Comfortably sits two or three children and wheelchair user can get close the outer sides.